A documentary is good when it concisely lays out the facts and displays those facts in a manner open to audience interpretation. A documentary is great when it does all of that whilst telling a story and evoking a range of emotions from the audience. James Marsh’s incredible Oscar-winning Man on Wire is an example of a great documentary, and it just so happens that another British director, Bart Layton, is the man behind The Imposter: an astonishing film which has garnered universal critical acclaim and vindicates its place next to the likes of Man on Wire at the pinnacle of great documentaries. 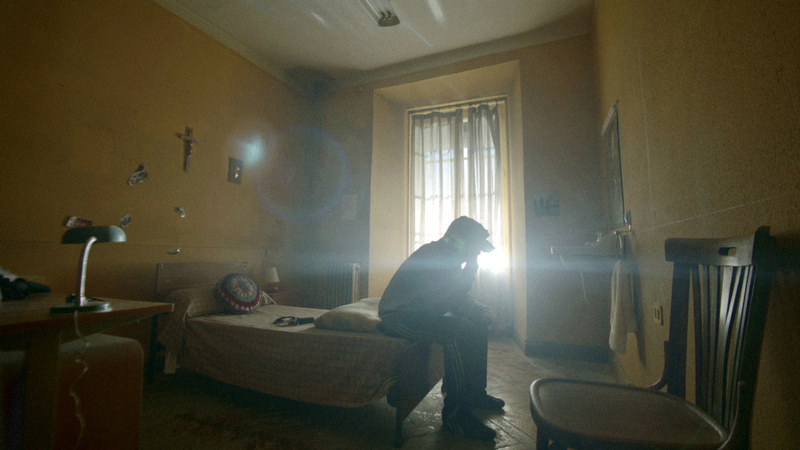 Much like Man on Wire, The Imposter tells the story of a French individual in an extraordinary situation. However that is where the similarities end — tonally, subject-wise, and even stylistically. The documentary-film chronicles the events four years after the disappearance of a young Texan boy named Nicholas Barclay in 1993. Through archive footage, interviews and re-enactments, Frenchman Frédéric Bourdin reveals how he managed to fool Nicholas Barclay’s family into accepting him as their missing son back. As his story unravels, so too does the extraordinary circumstances surrounding the case. The Imposter is so difficult to comprehend that, during an appearance on Mayo and Kermode’s Film Review, director Bart Layton mentioned how after a screening of the film at the Sundance Film Festival, “Someone put up their hand and asked, ‘I’m interested to know if [The Imposter] is based on a true story'”. This highlights the sheer absurdity of the situation, but also the tremendous ability of Bourdin to manipulate people and create a sense of believability when such a thing does not have any right to be present. The trickster Bourdin looks straight down camera lens as he narrates his side of the story and is eerily charming, coming across as a hypnotist putting the audience under his spell. Throughout the documentary-film, he talks about how from a young age he was neglected a childhood or any semblance of love, linking this deficiency of care and attention to the reason behind his despicable behaviour. This almost gives Bourdin a basis for demanding surreal sympathy — even as his lies become increasingly twisted, the reason behind those lies becomes increasingly clearer. In contrast, Layton interviews family members of Nicholas Barclay, namely his mother, sister and brother-in-law. They also speak directly to the audience, each of them emitting a genuine sense of pain, wonderment and anger towards the circumstances they have lived through. These traits remain uncannily vivid even after a decade and a half, conveying just how skillful-yet-dastardly the unnervingly gravitating Bourdin is. As the piece progresses, more and more real life characters become entangled in the case, with more and more cracks appearing in Bourdin’s disguise. The final half hour of The Imposter eclipses the riveting first part of the documentary-film, as it enters a whole new heart-pounding level altogether. Each different layer to the story begins to overlap with the one which precedes it, as Layton gradually unveils fresh elements that come together in an explosive and intense conclusion. The number of films which have generated this amount of drama in the past year since The Imposter’s release is probably a number which could be counted on one hand. 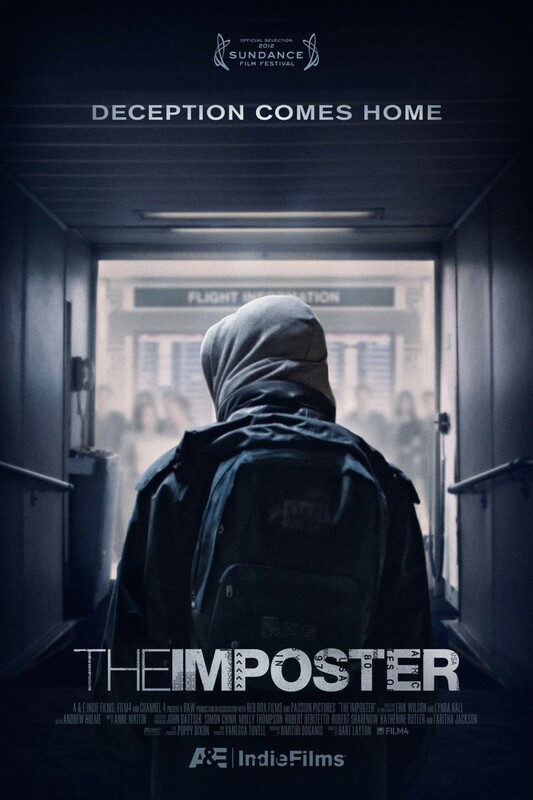 Other than the obvious astounding nature of the story, one of the key factors behind the success of The Imposter is the style in which it is shot. As aforementioned, all of the interviews are conducted as if the interviewee is conversing directly with the audience. This adds an almost personal feel to proceedings — as if the viewer is the one interrogating Bourdin or speaking to the Barclay family. Alongside that, Layton’s decides to recreate — or in this case re-imagine — how the non-documented events happened (90 percent of the events were not documented first-hand). This develops a cinematic quality to the documentary-film. The Imposter therefore plays like a thoroughly thought-out and heavily invested-in piece of work. Just as matters begin to slip too far over to the cinematic side, Layton reels the audience back into the unsettling realism of events, either with an interview snippet involving Bourdin or archive footage of a young Nicholas Barclay with his family. It would perhaps have been simpler and certainly far more financially rewarding for Bart Layton to have directed The Imposter as a Hollywood drama. Something tells me that the thought never even crossed Layton’s mind though — what he has here is an astonishingly captivating piece of work which at times plays like a fear-inducing horror film. The question at the centre of it all is: how far would you go to believe the unbelievable? I didn’t like they seemed to glamorize him by the end, but it was still a very intriguing documentary that leaves plenty questions raised, and has yet to answer them just yet. Good review. Yeah there definitely was a disconcerting element of that towards the end. Crazy story! Thanks man, appreciate it!